No single party with 39% of the vote should get 100% of the power. Your vote should count. In 2019, we can elect MPs who will get proportional representation back on the table! Fair Vote Canada’s goal is to elect enough in MPs in support of PR to deliver proportional representation – or to make proportional representation a condition of supporting a minority government. Make Justin Trudeau’s broken promise, and the need for proportional representation, an issue across Canada this election. – in the media, on social media, at election debates in every riding. Be part of the PR team! 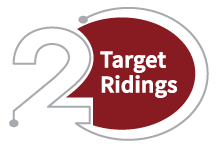 Focus resources on a number of TARGET ridings (see below). These are ridings where our efforts can make the most difference to elect a strong PR champion! Can you help? Get involved! Endorse candidates in every riding who will champion proportional representation. We’ll be endorsing candidates whose party has a strong position on proportional representation and/or the candidate has taken personal action for PR. 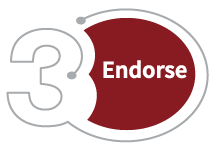 Endorsements coming soon! We’re calling for a National Citizens’ Assembly on Electoral Reform. What happens after we elect PR champions? Let’s take the issue of designing a new electoral system out of the hands of politicians, and put it in the hands of citizens – with a process we can trust. 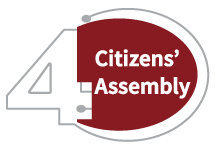 Read about our call for a National Citizens’ Assembly on this special page! In 2019, Fair Vote Canada will be focusing on making Justin Trudeau’s broken promise on electoral reform a key election issue across the country. 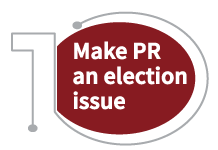 We’ll be focusing resources on “target ridings” – ridings where we can help a pro-PR MP win, or hold the seat. Here is the tentative list of ridings. If you would like to help in one of these ridings – or any other riding across the country – we want to hear from you! NOTE: Quebec ridings are coming soon! In 2015, three parties – the Liberals, the NDP and the Greens, representing 63% of voters – promised that if elected, 2015 would be the last election under first-past-the-post. The NDP and Greens promised to implement proportional representation. Between June and December 2016, an all-party committee on electoral reform (ERRE) held meetings in Ottawa and in 19 locations across Canada, hearing from hundreds of experts from Canada and around the world and thousands of citizens, in person and online. MPs also held town halls, Minister of Democratic Institutions Maryam Monsef held a cross-country tour, and citizens held community forums. The results of consultations showed that 88% of the expert witnesses and 87% of the citizens who testified recommended Canada adopt a system of proportional representation. This was consistent with 13 previous commissions, assemblies or committees recommending PR. Read Fair Vote Canada’s submission to the ERRE here. Finding no willingness from the Liberal members on the ERRE to keep their own promise, the NDP and Green Party members, in an effort to find a majority consensus in the committee’s report that would keep the conversation alive, joined with the Conservatives in recommending a referendum on proportional representation. Most of the experts who testified to the ERRE did not support a referendum. Unfortunately, the day the ERRE’s report was released, the 5 Liberal members held a separate press conference, recommending that the Liberal Party break its own promise to Canadians. Two days later Justin Trudeau reassured Canadians that he was still on track to keep this promise. On February 1, 2017, new Minister of Democratic Institutions Karina Gould informed the press that changing Canada’s electoral system would not be in her mandate. Justin Trudeau stated shortly after, “It was my choice to make”. Nation-wide protests followed (see video above). In May 2017, the NDP put the report of the ERRE to a vote in the House of Commons. The vote was a final effort to give MPs themselves a chance to speak up and re-open the conversation. In advance of the vote, Fair Vote Canada commissioned the largest poll ever of Canadians –a sample of over 15,000 people in 20 Liberal ridings. The polling showed a strong majority of constituents wanted the Liberals to keep their promise and wanted their own MP to stand up for it. Unfortunately, every Liberal MP present except two – Nathaniel Erskine Smith and Sean Casey – voted no. All NDP, Green and Conservative MPs present vote yes. Because the Liberals have a majority of the seats, this effectively killed the promise to end first-past-the-post and make every vote count in time for 2019. 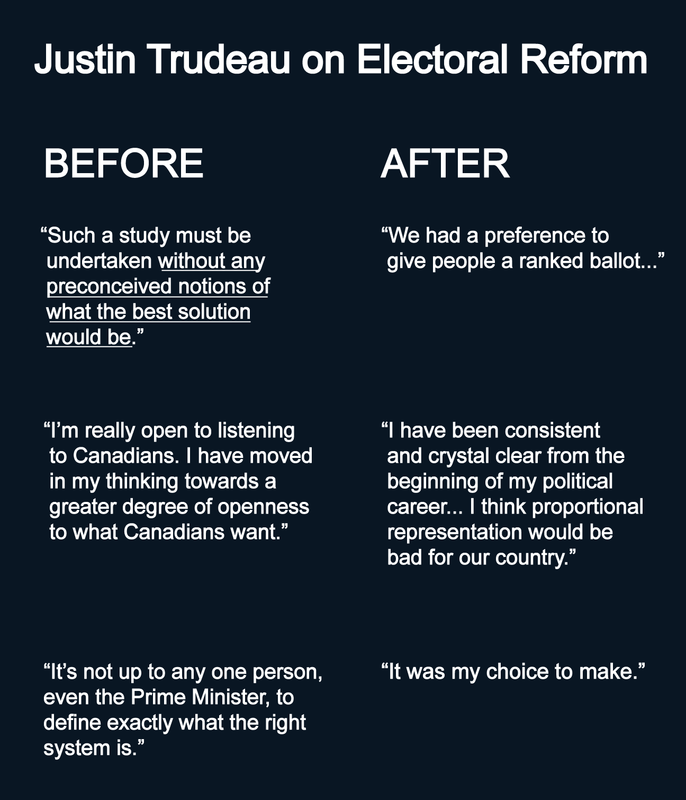 In June, 2017, Justin Trudeau admitted that – despite his own campaign promises and reassurances to the contrary – he had always opposed any form of proportional representation and was only ever willing to consider what he calls “preferential ballot” (properly called Alternative Vote). Although ranked ballots can be used within proportional systems, Alternative Vote is a majoritarian (winner-take-all) system supported by only 4% of experts who testified to the ERRE. Expert testimony and simulations showed Alternative Vote would produce results in Canada even more distorted than first-past-the-post and would have given the Liberal Party an even bigger false majority in 2015.